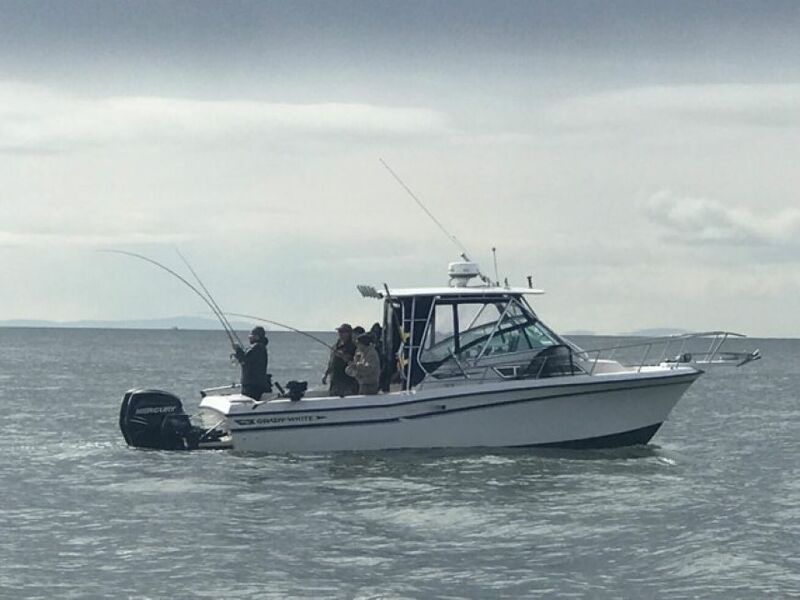 Right on schedule, the South Bowen Chinook fishery has really perked up! 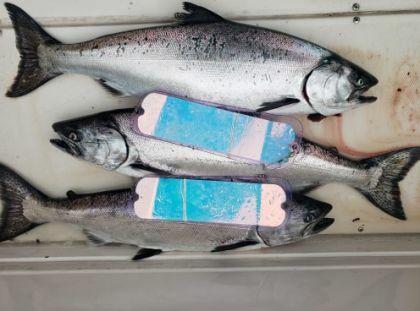 Over the last few days there has been some explosive bites with very good numbers of legal and undersized chinook salmon. Like every April around this time, the longer, warmer days trigger a plankton bloom in local waters. This change in the food web, causes the herring, anchovies and sticklebacks to push offshore. 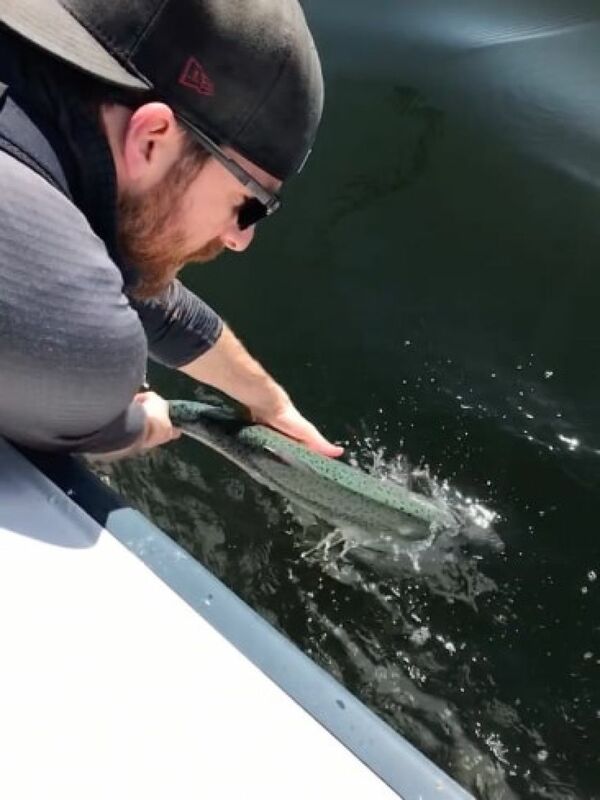 Where the bait fish go, the chinook will go and that is exactly what has happened! 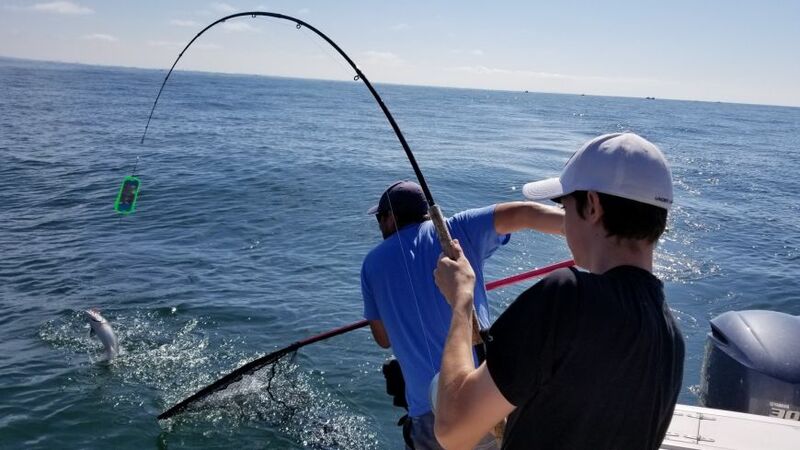 Depending on the day, the fish have been from tight to shore all the way out to the Hump. The QA and the Bell Buoy have also had some good periods of activity. This fishery will continue for the next 6 to 8 weeks. We can only hope it will finish as strong as it is starting. We have been having our best success on spoons. G Force and Silver Horde Kingfisher Spoons are doing the job nicely. Patterns like the Killy Mcgee, Herring Aide, Trailhead, Bon Chovy, Homeland Security, Irish Cream and Kitchen have all been deadly. No need for bait right now as the spoons are working just fine! The Madi Flasher and the Chartreuse Glow Phantoms have been really good flasher colours! Crabbing has been good and prawning continues to be very good as well. If you want to drop prawn traps, an 8 hour trip is needed and needs to be requested at the time of booking. Now is the time to get out there!